OPELOUSAS, La. — Tears came to Pastor Gerald Toussaint's eyes as he looked at what was left of his 145 year old church on Sunday. 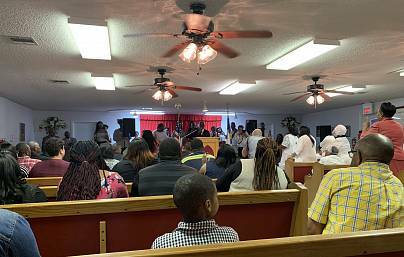 "It's sad that our society has stooped this low to do something like that," said Toussaint, 56, pastor of the Mount Pleasant Baptist Church in Opelousas, Louisiana. St. Mary's Baptist Church was the first reported church fire on March 26. Then, just 10 miles down the road, Greater Union Baptist Church went up in flames a week later. All three churches were well over a hundred years old. 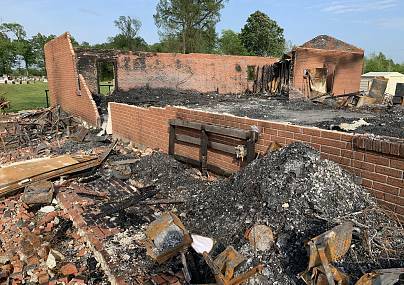 A fourth church burned about 200 miles away in Caddo Parish, Louisiana. 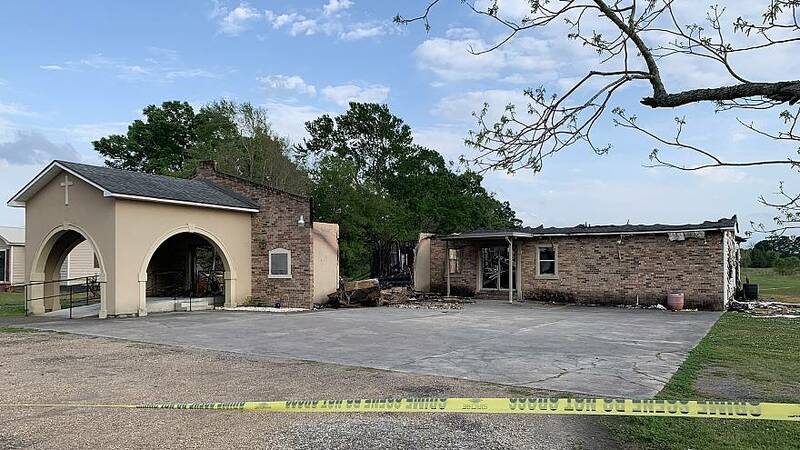 Authorities don't believe that fire is connected to the three in St. Landry Parish but are continuing to investigate. "Right now, what we have to say is that the fires are suspicious," said Louisiana State Fire Marshal Butch Browning. "We do believe that crimes have occurred. We believe that the three fires obviously are not coincidental, they are related." "We know the past and we know the history and it certainly drives our investigation. I think it brings more passion to our investigation to quickly get answers," Browning. said "We're hunting them down right now and we're going to find them. We're gonna bring them to justice." "Let them know we'll keep praying with a building or without a building," said Morning Star Deacon Curtis Zachary, 46. "You can burn a building, but you can't take us, can't break us." Just a few miles up the road from Morning Star Baptist, St. Mary's, another historically African American Church built in 1901, sits in ashes. Bibles are seared, but not destroyed. "I think it's a sign," said Shameka Mallet, who has been a parishioner at St. Mary's her entire life. Her family has been part of the church for generations. "It's kind of devastating. My mom was buried here, my grandfather was buried here, and my aunties were married here," Mallet said. She thinks the burning of these historically black churches has to do with race. "This church been here for the longest time and then all of the sudden this church is burned down? It's terrible." "This caused us to call each other more than we ever called each other," he said. "Now we can pull together."